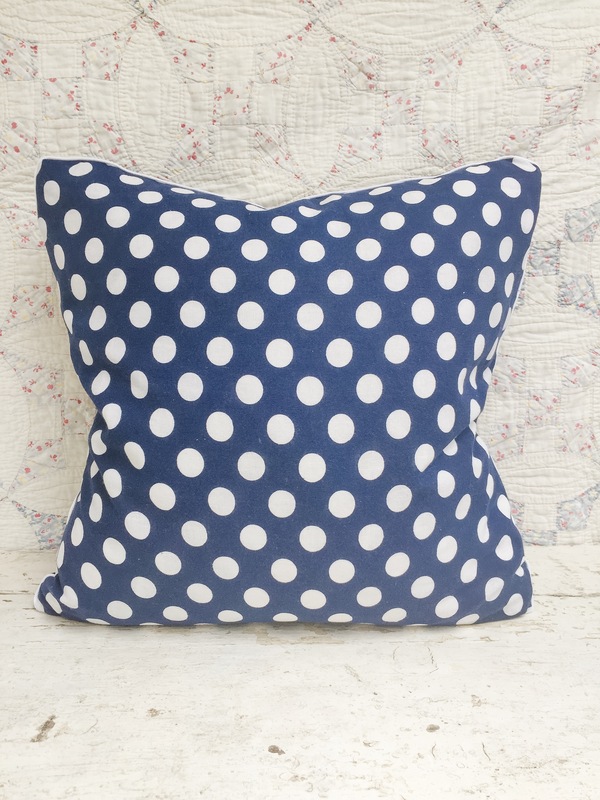 Vintage 20" x 20" feedsack pillow made in our signature polkadots. Down insert included. The original stitching holes may or may not be visible on our authentic vintage feedsack pillows.